The THUNDERCATS have virtually completed their spacecraft, the Feliner, but cannot make it fly because they lack a Megacondensor. Desperate to return SNARFER to his home, SNARF suggests that the THUNDERCATS might find a condenser in the wreck of the RatStar. 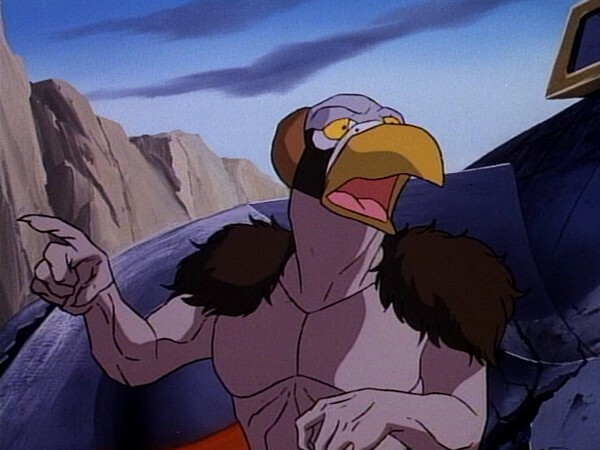 The episode follows the THUNDERCATS’ efforts to retrieve this vital component, opposed by RATAR-O, the MUTANTS, and MUMM-RA. Eventually, they succeed and blast-off for the Planet of Snarfs with SNARFER. Right up until the last moment, it seems that SNARF will want to return with SNARFER and will leave the THUNDERCATS. At the last moment, however, he decides to stay with LION-0. 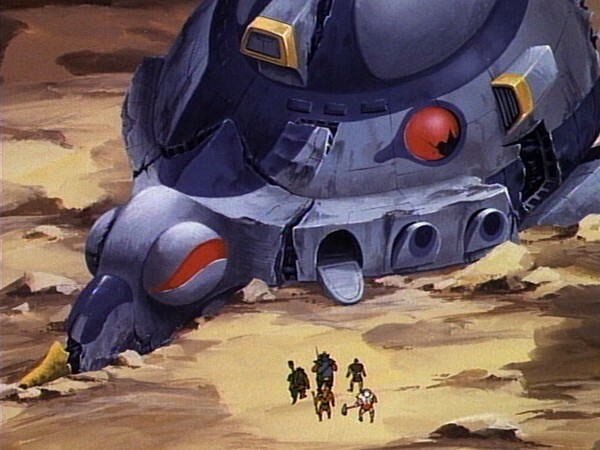 Inspired by Snarf’s idea, the ThunderCats pursue the hyperspace megacondenser, which they need to repair the Feliner and take Snarfer home to the planet of Snarfs. Because the part is so valued by them, it becomes the object of pursuit also for both Mumm-Ra and Ratar-0. 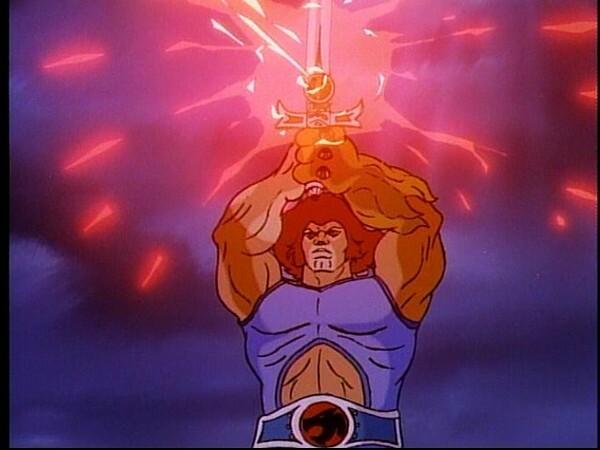 As a result, the ThunderCats are called upon to use extra effort to obtain it. Once the Feliner is repaired, Snarf must make a critical decision of choosing to return to the planet with Snarfer or to remain with the ThunderCats. Although his kinship bonds and his curiosity draw him, he finally decides it is his present life with the ThunderCats that he values most. It is a mark of perception to be able to appreciate and value what is good in our present lives, for example, our parents, friends, and the realities of our living situation. Sometimes we are inclined to feel that something different would be better. So we idealize the past or fantasize about the future. In doing so, we lose an appreciation of the present and our perspective on what is good about our present reality. Then, unlike the ThunderCats, we dc not make the effort to carry out our daily responsibilities and maintain that which is of value to us. It is important to keep in mind those things we value about our lives, whether our relatives, friends, or groups of which we are a part. And in doing this, it is important also not to take them for granted, but to make the effort to sustain our involvement with them and show our appreciation. Although not quite to the same gloriously high standard of part 1, “Feliner – Part Two” is nonetheless a truly fine example of ThunderCats at its very best, blending a great story with beautiful animation and fantastically choreographed action sequences. Memorable for so many reasons, this episode is amongst the best of the best from the show’s first season. Probably the most noteworthy aspect of both parts of “Feliner” is its exploration both of the character of Snarf himself and the insight given into his species, and this is no less true of this second installment. As previously stated, in a lot of animated series from the 1980s, the “little guy” character like Snarf would be utilised for two purposes, either as the show’s “kid character”, placed within the cast of characters in order to learn and thus educate the show’s young audience without talking directly to them, or as comic relief. 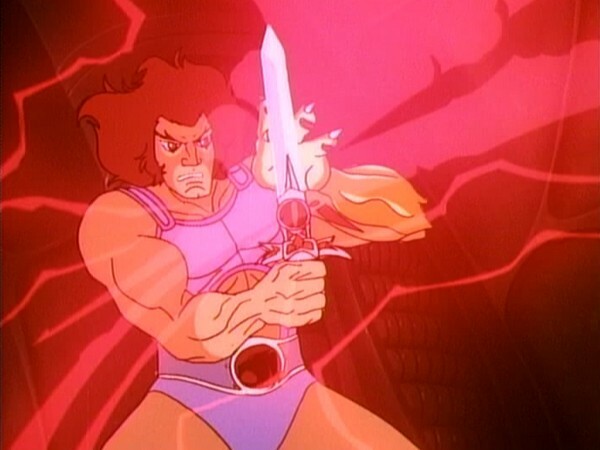 What makes the character of Snarf so interesting is that he is actually never used for the first purpose – for, the “kid character” in ThunderCats was, uniquely, also the series’ main hero, Lion­O. Whilst Snarf would, admittedly, be used for his share of comedic value, in actual fact he also works when used as a serious, dramatic character in the same vein as all of the other ThunderCats, and there are very few episodes that showcase this better than this one. Part of what makes Snarf’s role in this episode so effective is the realisation of what the audience has known for many episodes, that Lion­O is now fully grown and no longer in need of a nursemaid in the conventional sense. 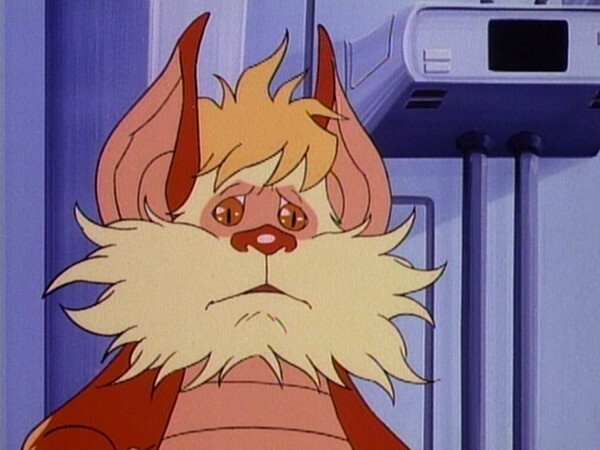 This is perhaps the saddest part of Snarf’s character – his initial place amongst the ThunderCats was as that of Lion­O’s nursemaid, not even a real ThunderCat but a trusted guardian for the hereditary Lord of the ThunderCats. 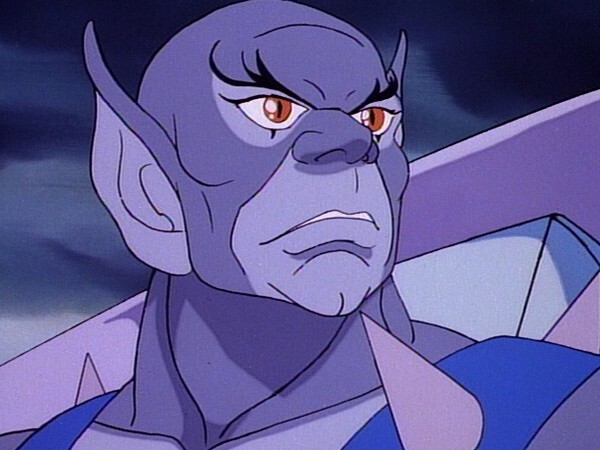 Snarf’s initial status within the group is displayed even in the series’ pilot, “Exodus”, when Jaga lists for the young Lion­O the other ThunderCat nobles who will teach him the skills he needs to rule, but neglects to mention Snarf (something that does not go unnoticed by Snarf himself!). 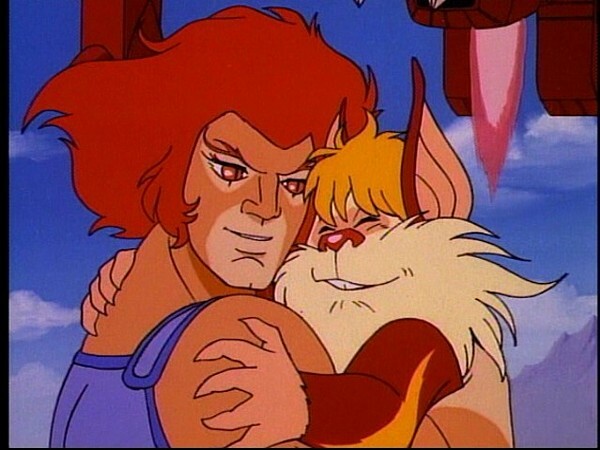 However, even at that early stage it is clear for all to see that there is a special bond between Lion­O and Snarf, and over the course of the series this readily extends outwards to all the other ThunderCats – however, somehow the special connection between Lion­O and Snarf remains evident throughout. The tragic thing for Snarf is that, at least initially, his place within the ThunderCat group was to care for Lion­O, and as over the course of the series Lion­O develops and matures into an adult, Snarf’s original role becomes more and more redundant. 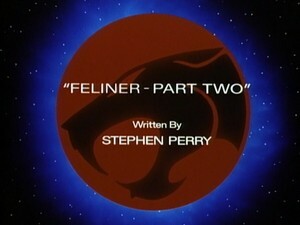 Although most of the best surprises were used up in “Feliner – Part One”, writer Stephen Perry still manages to conjure up one final bit of storytelling magic when Snarf tells Snarfer he plans to return with him to the Planet of Snarfs. The reason this is brilliant is because it brings to a head all the gently simmering elements of Snarf’s character mentioned above, allowing the full dramatic potential of his character to shine through. 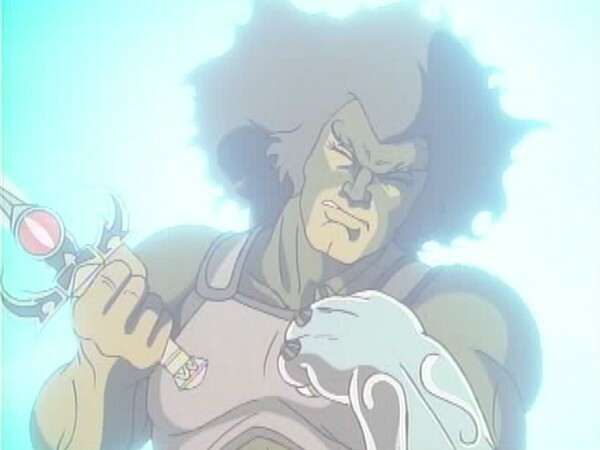 The concluding, tearful scene of this episode is one of the most emotional of the entire series, and unquestionably the biggest mini­roller­coaster ride of emotions seen since the pre­adolescent Lion­O bade farewell to Jaga in “Exodus” – not only is the scene (including its satisfying conclusion) executed to absolute perfection, but it also provides great insight into the evolution of Snarf’s role within the ThunderCat ranks, for, whilst it is true that Lion­O no longer needs a nursemaid per se, the bond of friendship between the two characters is as great as it ever was. It’s often remarked upon that even when children grow up they still need their parents, and through this scene we see a similar state of affairs develop between Lion-O and Snarf. 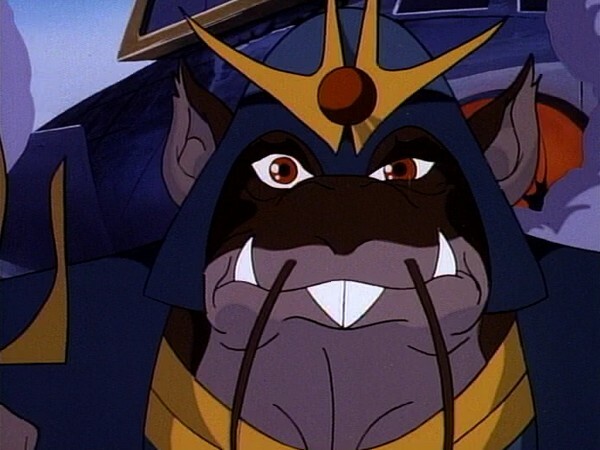 Whilst obviously Snarf (and, to a lesser extent, Snarfer) dominate proceedings in this episode, it is also notable for the continued presence of the Mutant general Ratar­O. Throughout this episode, a lot of the groundwork laid in the first part of “Feliner” in terms of Ratar­O’s character are realised – displaying cold, calculating evil, as well as a vicious streak when he tortures S­S­Slithe, Jackalman and Monkian, and a sense of deadly menace when he squares off against Lion­O, Ratar­O marks himself out as perhaps the most formidable of the Mutants that the ThunderCats face. That ultimately even his plans end in failure is testament more to the strength of the ThunderCats rather than the ineptitude of the Mutants, which is not something that can always be said at the conclusion of an episode! If this episode has a weakness in plot, it could be argued that this is the introduction of Mumm­Ra into this second part of “Feliner”. 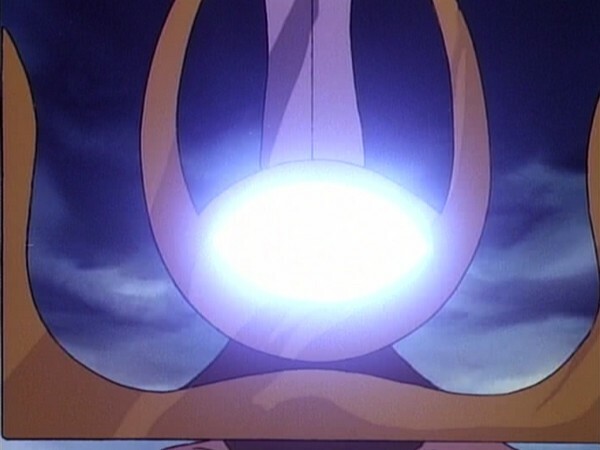 Whilst the addition of Mumm­Ra to this episode’s cast could be viewed as bringing things to a dramatic climax, in actual fact it could equally be argued that it is a slightly pointless addition, given that Mumm­Ra’s involvement adds virtually nothing to the story and if anything serves almost to slow down the pace at which things move rather than speed them up. That his exit from the episode should be so tame (complete with clichéd exit speech) further reinforces the feeling that Mumm­Ra’s appearance is more to flesh out the episode than for any real dramatic purpose. As I say, this is a pity, for it’s the only element that mars an otherwise outstanding episode. Although easy to overlook when dissecting the story, another important factor to this episode is the brilliant animation that features throughout. The renderings of the characters are lovely throughout, with some of the most attractive images of Lion­O seen in the show’s first season appearing in this episode, and the episode also features lovely use of shadow and lighting effects. This detailed animation also greatly helps to enhance the on­screen presence of Ratar­O, nicely accentuating the pure evil of his character. Whilst it would be fair to say that “Feliner – Part Two” doesn’t quite live up to the brilliance of the first part, there is no shame in this. 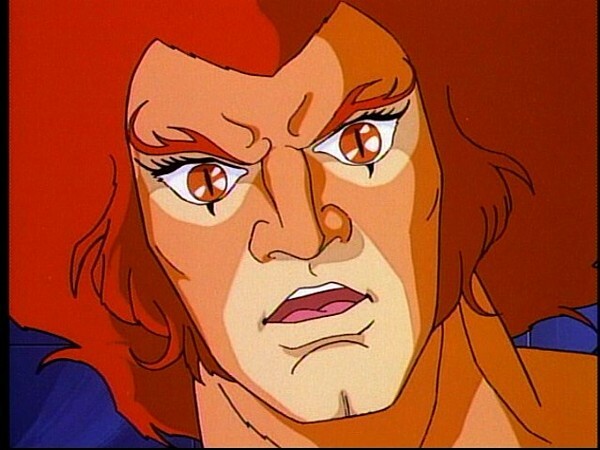 As it is, this episode is easily one of the finest from the latter half of ThunderCats’ season 1 – even for non­Snarf fans! 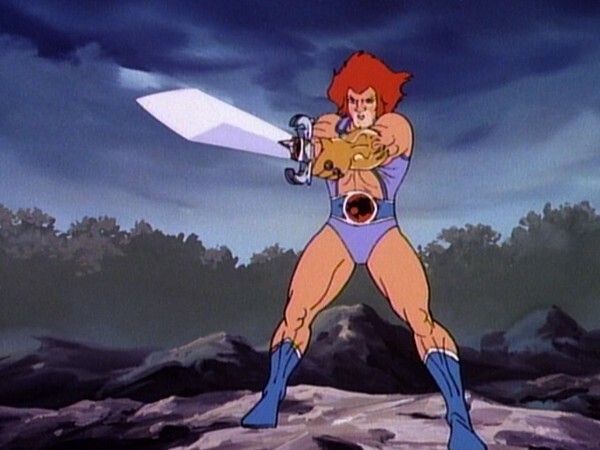 This is the first ever episode of ThunderCats to begin with a re­cap! Interestingly, the last scene from the first part of “Feliner” also appears in this episode, but not where it might be expected to be excluding the re­cap, it’s actually the fourth scene to appear in this episode! An interesting animation error shows the Thundertank setting off to retrieve the Hyperspace Mega-Condenser from the Rat*Star wreckage at nighttime, whereas the rest of the episode takes place during the day! When travelling in the Thundertank en route to Castle Plun­Darr, Snarf mentions to Snarfer about them both returning to the Planet of Snarfs, to which Snarfer reacts with surprise at Snarf’s talking in the plural. This is technically a continuity error, as Snarf had already spoken with Snarfer about this earlier in the episode.